Nontrivial numbers of Americans believe in the paranormal. These beliefs have spawned thousands of groups dedicated to investigating paranormal phenomena and a proliferation of ghost-hunting entries in the reality television market. Anecdotal evidence even suggests that ghost-hunting reality shows have increased public openness to paranormal research, which usually entails a small group traipsing through reportedly haunted locales at night with various ghost-hunting technologies. 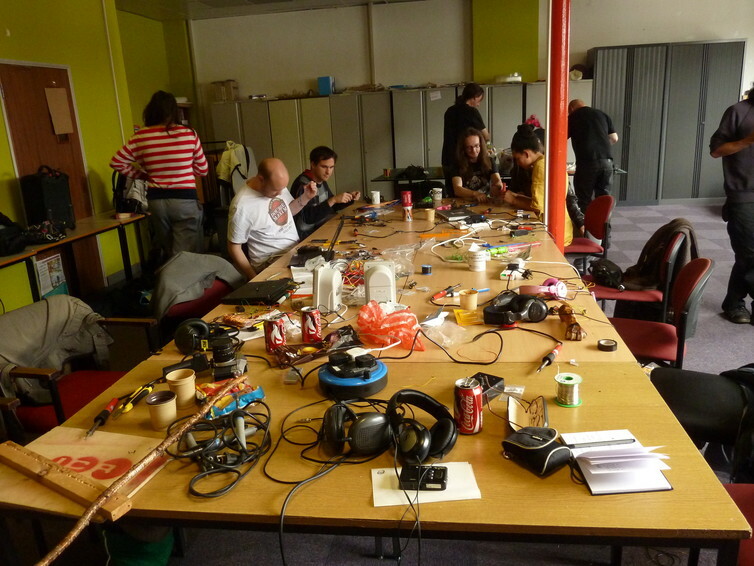 Audio recorders figure prominently in paranormal researchers’ toolkits. Microphones capture ambient sounds during the investigation. Later, the audio recordings are scoured in search of messages from spirits. The premise is that audio recording devices can register otherwise inaudible communications from discarnate entities. These purported communications have been dubbed electronic voice phenomena (EVP). The sounds are generally brief – most examples consist of single words or short phrases. Perceived contents of EVP range from threatening (“You’re going to hell”) to bizarre (“Egypt Air”). An EVP recorded at Lizzie Borden’s house. Part of the attraction of the audio recorder for paranormal researchers is its apparent objectivity. How could a skeptic refute the authenticity of a spirit captured by an unbiased technical instrument? To the believers, EVP seem like incontrovertible evidence of communications from beyond. But recent research in my lab suggested that people don’t agree much about what, if anything, they hear in the EVP sounds – a result readily explained by the fallibility of human perception. Despite the technological trappings, EVP research bears several characteristics of pseudoscience. What are the EVP sounds? The chain of evidence for most purported EVP makes hoaxes difficult to rule out, but let’s assume that many of these sounds are not deliberate fraud. In some instances, alleged EVP are the voices of the investigators or interference from radio transmissions – problems that indicate shoddy data collection practices. Other research, however, has suggested that EVP have been captured under acoustically controlled circumstances in recording studios. What are the possible explanations for these sounds? The critical leap in EVP research is the point at which odd sounds are interpreted as voices that communicate with intention. Paranormal investigators typically decode the content of EVP by arriving at consensus among themselves. EVP websites advise paranormal researchers to ask themselves, “Is it a voice…are you sure?” or to “Share results among fellow investigators and try to prevent investigator bias when reviewing data.” Therein lies a methodological difficulty. Research in mainstream psychology has shown that people will readily perceive words in strings of nonsensical speech sounds. People’s expectations about what they’re supposed to hear can result in the illusory perception of tones, nature sounds, machine sounds, and even voices when only acoustic white noise – like the sound of a detuned radio – exists. Interpretations of speech in noise – a situation similar to EVP where the alleged voice is difficult to discern – can shift entirely based upon what the listener expects to hear. But if it’s not a ghost…. In my lab, we recently conducted an experiment to examine how expectations might influence the perception of purported EVP. Our EVP were audio recordings from a ghost-hunting reality show. We asked three questions: Do people perceive alleged EVP to be voices under controlled conditions? If they hear voices, do they agree about what the voices are saying without being told what they’re supposed to hear? And finally, does it matter whether or not they think the research topic is paranormal? Half of participants were told that the experiment was part of a research project on paranormal EVP. The other half were told that we were studying speech perception in noisy environments – a typical (if perhaps boring) perceptual psychology experiment. In a study trial, participants heard a sound and were asked if they detected a voice in the stimulus. If they responded “no,” the trial ended. If they responded “yes,” they reported what they thought the voice had said. Across the study, participants heard the purported EVP, recordings of actual human speech, recordings of human speech obscured in noise, and recordings of only noise. The EVP and speech-in-noise sounds were inherently ambiguous – they sort of sounded like a voice was present and sort of did not. Compared to the control condition, the suggestion of a paranormal research topic made people more likely to report hearing voices for both the EVP (48% versus 34% “yes” responses) and the voices hidden in noise (58% versus 40% “yes” responses). For real human speech, all participants nearly always heard a voice (99% “yes” responses), and for noise all participants almost never heard a voice (1% “yes” responses). So suggesting a paranormal research topic mattered only when the audio was ambiguous. Further, when people said they heard a voice in the EVP, only 13% agreed about exactly what the voice said. To compare, 95% percent of people on average agreed about what the voice said when they heard actual speech. In one final analysis, we showed that the participants’ interpretations agreed with the paranormal researchers’ interpretations less than 1% of the time. These findings suggest that paranormal researchers should not use their own subjective judgments to confirm the contents of EVP. But perhaps most importantly, we showed that the mere suggestion of a paranormal research context made people more likely to hear voices in ambiguous stimuli, although they couldn’t agree on what the voices were saying. It can’t just be chance! We concluded that EVP are an auditory example of pareidolia – the tendency to perceive human characteristics in meaningless perceptual patterns. 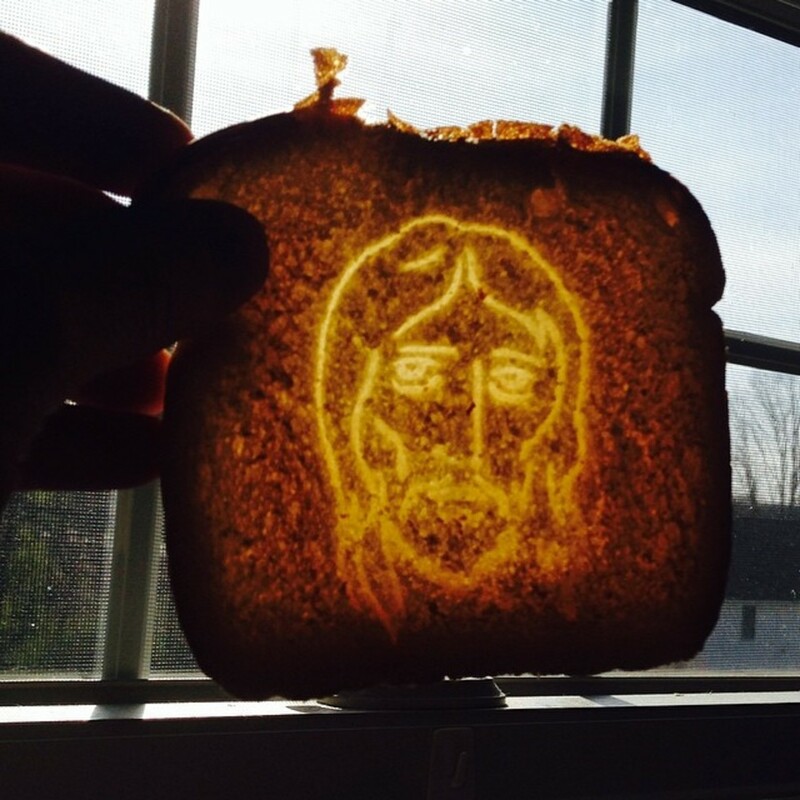 There are many visual examples of pareidolia – things like seeing human faces in everyday objects (such as Jesus in a piece of toast). Research from cognitive psychology has shown that paranormal believers may be especially prone to misperceiving chance events. A face-like configuration in a slice of toast seems meaningful. People ask, “What are the chances?” But if you add up all of the slices of toast you see over the days and weeks and months of a lifetime, it becomes inevitable that you will encounter some of these human-like configurations in toast due to chance. Similarly, paranormal investigators record a practically limitless amount of audio and use all manner of sound-processing techniques including filtering the sounds to remove particular frequencies and boosting the volume. Inevitably they’re able to find samples of audio that sound somewhat like a voice. Assuming some of these voice-like sounds can’t be attributed to shoddy data collection practices, their actual sources likely run the spectrum from ambient environmental noises to electrical interference to audio processing artifacts. If the listener is intently expecting to hear a person, virtually any sound can meet that expectation. One writer aptly suggested that EVP are like an auditory inkblot test: a blank slate upon which the listener can project any interpretation. The tendency for EVP investigators to hear a voice – a meaningful sound with agency and intention – is likely amplified by the suggestion of a paranormal context. 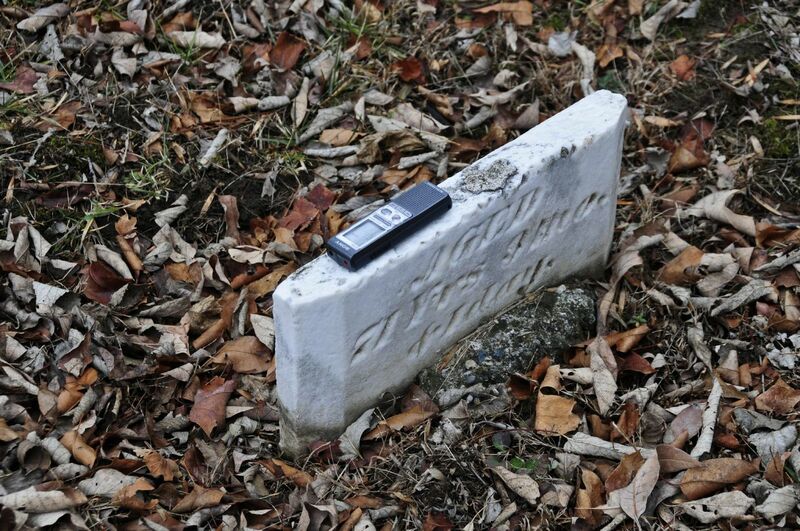 The technological trappings of ghost hunting can lend a gloss of objectivity. In pseudoscience, there is a semblance of adherence to the values of science. Objectivity in EVP research is equated with the use of a technological recording device per se, but subjectivity permeates the critical step of interpreting what the sounds mean. In science, objectivity is a critical value for researchers – an ideal that we attempt to apply to all aspects of inquiry – rather than a feature of our equipment. Another characteristic of pseudoscience is a lack of integration with related areas of inquiry. There is a rich history of using experimental methods to examine auditory perception, yet EVP enthusiasts are either unaware or willfully ignorant of this relevant work. Science also values parsimony – the idea that the simplest explanation is preferred. To explain EVP as the result of human auditory perception, we need a theory to account for how and why a human listener sometimes misperceives ambiguous stimuli. In fact, this very tendency is one of many well-documented cognitive shortcuts that may have adaptive value. A voice may indicate the presence of a potential mate or foe, so it may be useful to err on the side of perceiving agency in ambiguous auditory stimuli. A paranormal theory is much more complex. We have to explain how disembodied entities acquire agency. We have to explain why they have the ability to produce sound but only communicate in audio recordings instead of simply speaking aloud. We have to explain why they apparently can’t speak clearly in full sentences, but only brief, garbled, often seemingly random phrases. Many forms of popular entertainment require the suspension of disbelief, and viewers of paranormal reality shows are hopefully tuning in for the entertainment rather than scientific value of these programs. There are many important public issues, however, for which pseudoscientific beliefs have harmed public discourse. Currently, there is only limited, tentative evidence to link exposure to pseudoscience on television to pseudoscientific beliefs. Still, one study showed that people find paranormal research to be more credible and scientific when it is shown using technological tools such as recording devices. Other evidence has suggested that popular opinion may outweigh scientific credibility when people evaluate pseudoscientific claims. A good ghost story may hold entertainment and even cultural value, but the popular portrayal of pseudoscientific practices as science may be detracting from efforts to cultivate a scientifically literate public.